Toby Puddle is a familiar face at Sandy Balls as he is the leader of the Falconry experience activity at our holiday village. He has been practicing the art of flying trained hawks and owls over 18 years. Toby is very passionate about educating the public on animals, especially on birds. But what is the so called Falconry Experience? It is a one to one encounter with the most incredible birds of prey. You get a personal, hands-on experience as you can handle, feed and actually fly some amazing birds. 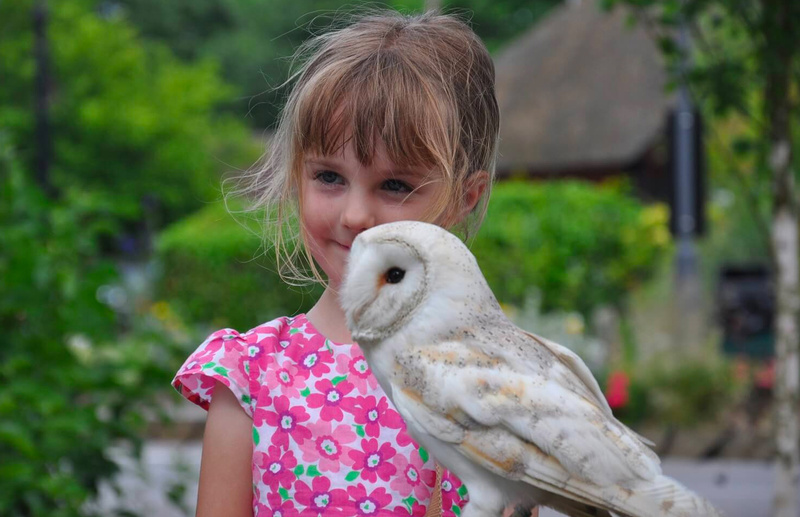 As an addition to the Falconry Experience we decided to introduce our new activity the Owl and Raptor Encounter. 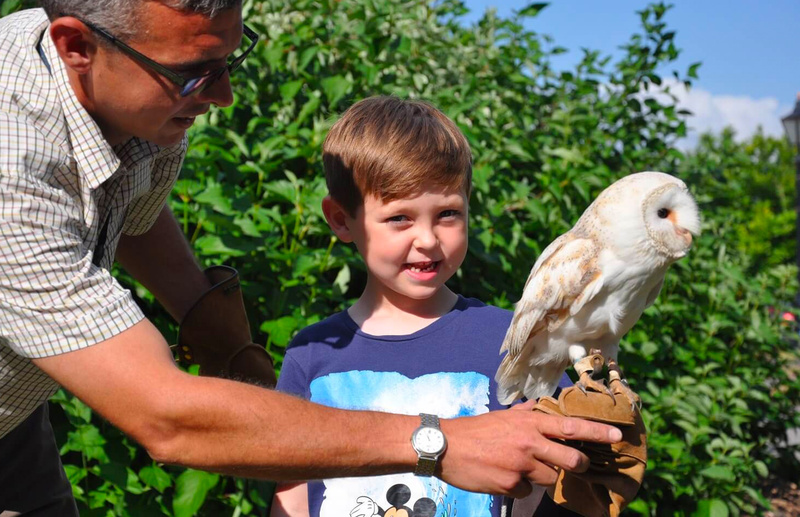 During this show Toby will take you on a fun and educational journey where you will learn about these amazing creatures, watch out though as they swoop over your heads on Toby’s command. This is a fun, interactive & memorable event for everyone who attends. What birds can you expect to see during the shows? What do they eat and where are they from? We have collected some information on some of Toby’s hawks and owls. 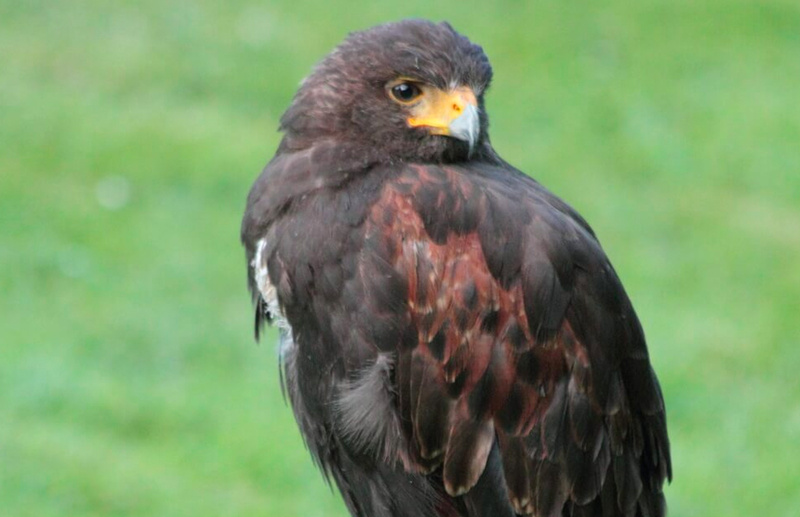 A handsome hawk of the arid Southwest, Harris’s Hawk is a standout with bold markings of dark brown, chestnut red, and white feathers, long yellow legs, and yellow markings on its face. The most social of North American raptors, these birds are often found in groups, cooperatively attending nests and hunting together as a team. When hunting, a group of hawks surround their prey and flush it for another to catch, or take turns chasing it. 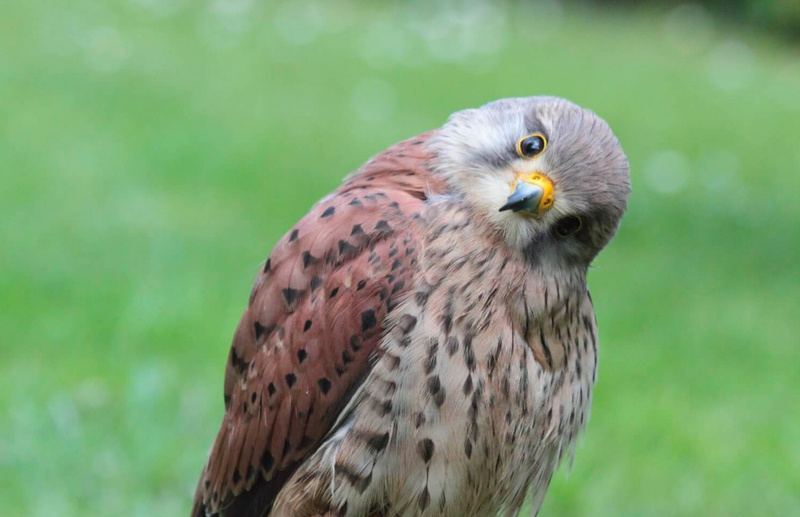 The European Kestrel – or the common kestrel – is a sight to behold with its beautiful plumage and trademark hover, which makes it easily identifiable in the air. Belonging to the falcon family, it is a common resident of the British countryside and can be found throughout Europe, Asia and Africa. The male tends to be slightly smaller than the female, more reddish brown in colour and features a blue-grey head and tail, as opposed to the female, which is mostly brown. 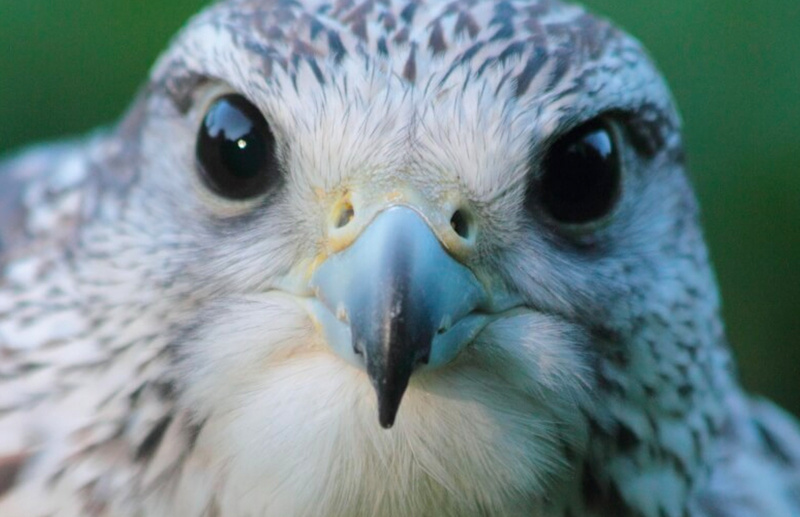 The largest falcon in the world, the ghostly Gyr Falcon is a fierce predator in the High Arctic, where it chases down small birds in flight or plummets from the sky at breathtaking speeds to strike prey on the ground. Nesting on remote cliffs in the far reaches of Canada and Alaska, Gyr Falcons in North America are safe from most human disturbance but face challenges from a warming climate. One of the world’s fastest birds, able to power-dive from great height to strike prey, the Peregrine may possibly reach 200 miles per hour. It is regarded by falconers and biologists alike as one of the noblest and most spectacular of all birds of prey. 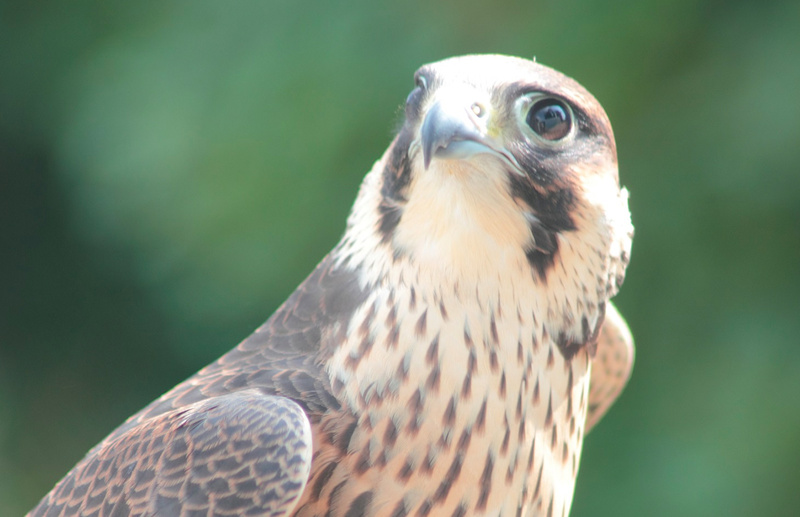 Although it is found on six continents, the Peregrine is uncommon in most areas; it was seriously endangered in the mid-20th century because of the harmful effects of persistent pesticides. 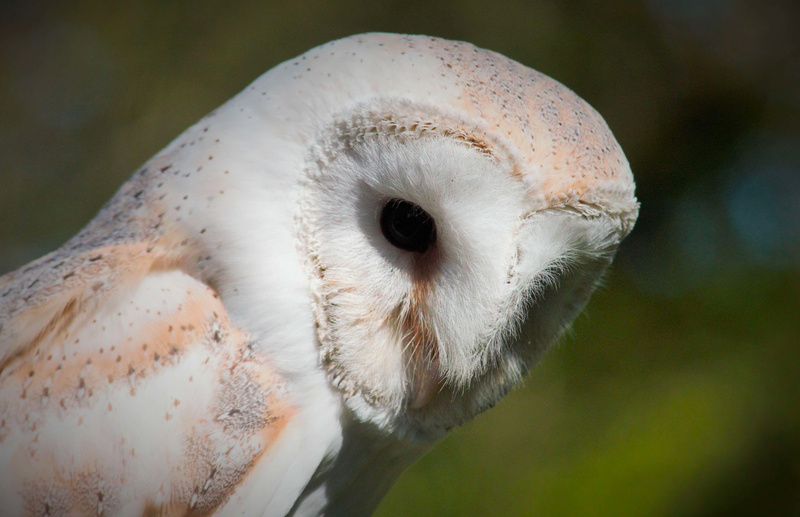 Barn Owls are birds of prey, hunting and catching small mammals, mostly Field Voles here in the UK. They have some extraordinary special adapted characteristics to help them hunt for food at night, such as incredibly sensitive hearing and the ability to see movement with very little light. This is a common crossbreed of captive bred owl and known to be normally friendly and good to handle. Although this is a hybrid both Siberian (Bubo Bubo Sibiricus) and Turkmenian (Bubo Bubo Turcomanus) are very similar sub-species of Bubo bubo owls. Siberians come from Western Siberia and Bashkiria regions with the Turkmenian range covering Kazakhstan to West Mongolia. In the wild they populate rocky and mountainous regions as well as forests and occasionally found in semi-desert regions. Both sub species are large birds ranging from around 58cm to 75cm and weigh from approximately 1.5kg up to 4kg. Their prey includes mammals from shrew to small deer as well as birds and reptiles. Are You Going to Carfest South in 2016?